The fruit that we deliver to your workplace is fresh from the local market (we were probably there this morning before your alarm went off). Where ever possible, we support our Australian Farmers, by selecting Australian grown produce. We only use the most trusted suppliers so that we can be confident that we are providing you with the best quality and freshest of fruit. 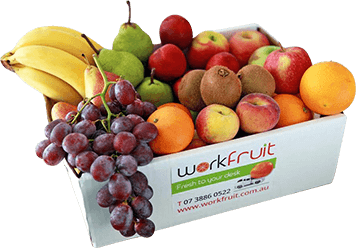 Work Fruit promote healthy eating practices in the workplace so you as an employer can get the best out of your staff. Showing a commitment to the wellbeing of your employees could lead to a reduction of absences, happier staff and workplace and improved business relationships! Shopping 'in season' produce also means you are guaranteed to steer clear of imported fruit and vegetables supporting our local growers and ensuring you have the freshest produce on your table. 3. We are really great people to do business with. It is our own business and we care! 5. We listen! We can modify your orders to suit your requirements. We will work with you to make it cost effective. 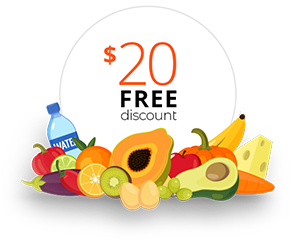 Choosing from our affordable fresh seasonal fruit, veggies, milk or juice boxes is a convenient, affordable option for your workplace or home. Who doesn't want to save time and money !? While also ensuring your family is receiving the freshest produce available. Whether it is a one off, weekly or fortnightly delivery, we will ensure you will receive the best hand picked local produce. We pride ourselves on our customer service, prompt delivery, and fresh local produce and are long-term supporters of our local farmers. From our Farms to your Family !